Thursday, April 25, 2013 . 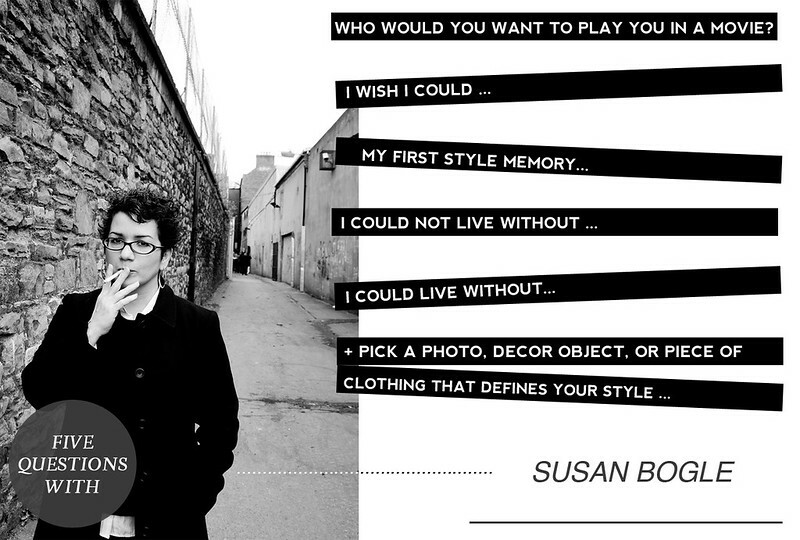 Susan is one of my artist friends and favorite people. Originally from Atlanta, Susan and her husband, David Turner, went to art school at Auburn and then moved on to New York to begin their careers as artists and designers. Now a Senior Art Director at Ballard Designs, she spends her days tweaking and perfecting the “European-inspired” home furnishings brand. 1. Who would you want to play you in a movie? I was molded by old movies and always preferred the snappy-dialogue characters. Rosalyn Russell in “His Girl Friday.” Those smart broads were always more intriguing than the blond ingénues who would fall down when chased. But really the perfect fit would be Stockard Channing as Rizzo in “Grease.” It’s been pointed out enough times that I have to go with her. Sing. My God I wish I could sing. I’m a terrible singer, simply awful. Oh to have the angelic voice of Emmylou. Or to be PJ Harvey, all screeches and wails and elbows and lips. decorating style “we are English noblemen who have traveled abroad.” Granted, poor English noblemen. We invented shabby chic. 4. I could not live with out my…. My car. I drive a 31-year-old Jaguar. It’s gorgeous—and it’s a pain, but well worth the trouble and expense. The fluid lines, wood dash and black-rimmed dials are a designer’s dream. It doesn’t matter that most of the dials don’t work. When it’s in the shop (which is frequent), I completely lose my superpowers! Practical cars have no magic. Overhead lights. They’re just wrong. I fully admit it. 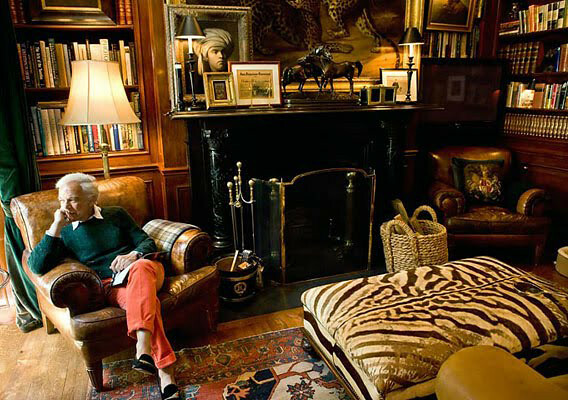 I love Ralph Lauren’s world. I cruise the NY Ralph Lauren store any chance I get. However my style is a bit more streamlined because of my love affair with art deco. I can’t resist those powerful lines. Thursday, June 14, 2012 . Susan is one of my artist friends and favorite people. Originally from Atlanta, Susan and her husband, David Turner, went to art school at Auburn and then moved on to New York to begin their careers as artists and designers. Now a Senior Art Director at Ballard Designs, she always has hilarious stories of their life when they were just starting out. As many of you creatives out there know…it can be feast or famine. Susan gave us a cocktail recipe of hers and David’s that they would turn to after they’d already spent their money elsewhere. Thanks Susan…for sharing another super cool story of what it was like to be an artist in New York hanging out around the Chelsea Hotel scene. I spent the 1990s in New York City as a straight-out-of-school meagerly paid magazine designer — and yet my friends and I managed to live like kings. When we had the money, we dined on lobster and drank white sangria at El Quijote next to the Chelsea Hotel. When we did not have money, we just drank white sangria at the bar. It was on these barstools that we discovered the secret to the potency of E.Q.’s seemingly harmless signature drink: Liquor, and lots of it. Our homemade version of E.Q.’s recipe became a staple on hot summer days in our Brooklyn backyard. Having no air-conditioning, David, Fred, Susanne and I would sit under the sprinkler, sipping the afternoon away. Living the good life on the cheap. Our sangria consisted of a big jug o’ cheap white wine, apples/oranges/lemons/limes, sugar, and then the E.Q.-inspired magic — the last dregs of most every liquor bottle in our bar. We didn’t know enough to add club soda, but for our purposes it would have just watered down our afternoon’s fun. Now that we are grown-up working artists, the recipe has been tamed a bit. But feel free to experiment with those forgotten bottles of vodka, rum , bourbon, whatever that could sadly be gathering dust in the back of your cabinet. Combine the first batch of ingredients and leave in the refrigerator long enough to ‘marinate.’ An hour is plenty of time. Add cold soda, pour, garnish with orange slice (and anything else festive), and enjoy!